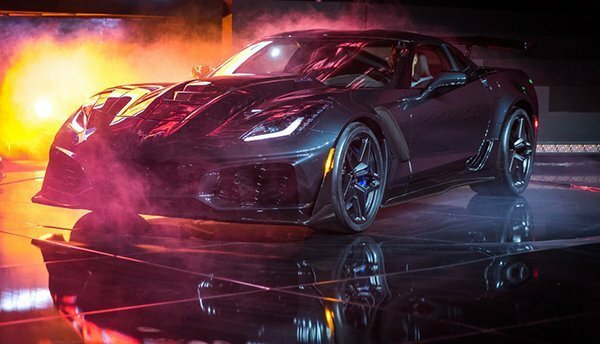 In this blog post, we have a video and some photos taken at the Los Angeles Auto Show when Chevrolet dropped the top on the 2019 Corvette ZR1. November 28, 2017, General Motors debuted the ZR1 convertible, the first ZR1 drop-top since the original 1970 model-year ZR1. 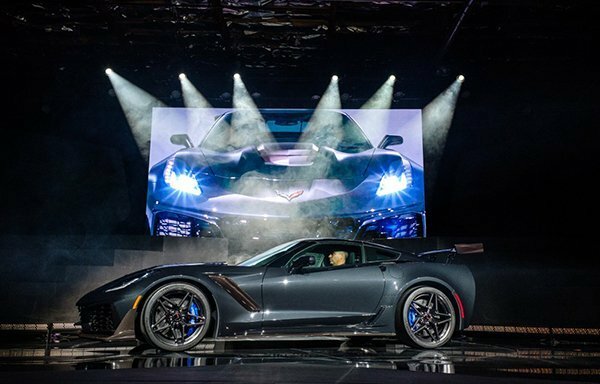 LOS ANGELES — Chevrolet today dropped the top on the 2019 Corvette ZR1 with the global introduction of the ZR1 convertible, the first ZR1 drop-top since the original 1970 model-year ZR1. On sale next spring alongside the Corvette ZR1 coupe, the ZR1 convertible emphasizes Corvette’s iconic proportions and functional sculpture, highlighting the seamless transition between the exterior and interior. 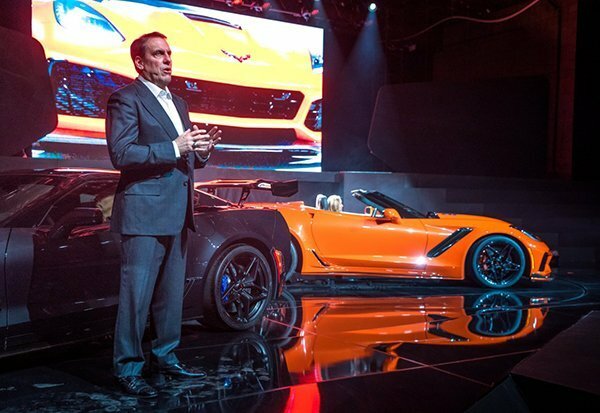 The ZR1 coupe will carry a suggested retail price of $119,995, while the ZR1 convertible will start at $123,995 (prices include destination charge, but exclude tax, title and other dealer fees). 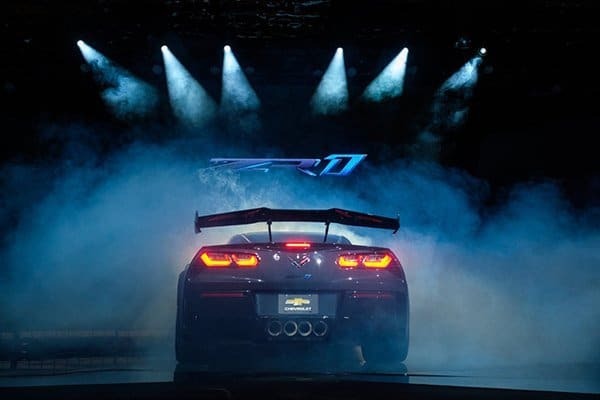 The performance and technology introduced on the Corvette ZR1 coupe carry over to the new ZR1 convertible. 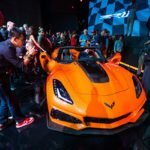 The strength of the Corvette’s aluminum chassis means the only structural changes in the convertible are accommodations for the folding top and repositioned safety belt mounts. The power top can be operated remotely or while driving up to 30 mph. In fact, the curb weight difference between the ZR1 coupe and convertible is less than 60 pounds (27 kg), with most of the difference attributed to the folding top hardware. The Corvette ZR1’s unique aero package is central to the coupe’s 212-mph (341 kph) top speed. Its standard, stanchion-mounted Low Wing generates road-holding downforce with minimal drag, enabling the benchmark top speed. This was evident during top-speed testing at Germany’s Papenburg proving ground. An adjustable High Wing is part of the new $2,995 ZTK Performance Package, which also includes a front splitter with carbon-fiber end caps, Michelin Pilot Sport Cup 2 tires and specific chassis and Magnetic Ride Control tuning. It is designed to help generate faster lap times through maximum grip in the corners, with up to 950 pounds of downforce. The top speed is lower with the High Wing but still exceeds 200 mph. 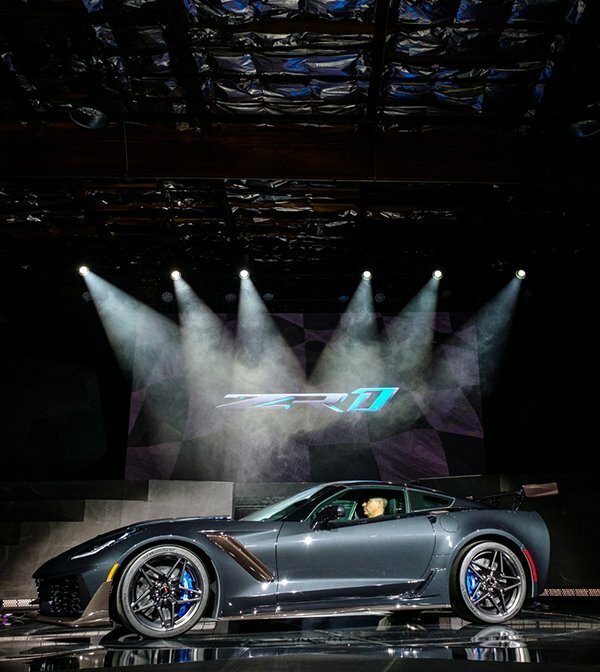 Complementing the ZR1’s aero advantage on the way to 212 mph is the thrust generated by the exclusive LT5 6.2L supercharged engine, which is rated at an SAE-certified 755 horsepower (563 kW) and 715 lb-ft of torque (969 Nm). A seven-speed manual transmission and a ZR1-first paddle-shift eight-speed automatic transmission are offered with it. Preliminary testing has shown 0-60 mph in under 3.0 seconds and the quarter mile in the high 10-second range when the engine is equipped with the eight-speed automatic. The LT5 features a new, more efficient intercooled supercharger system, along with GM’s first dual fuel-injection system, which employs primary direct injection and supplemental port injection. Compared to the supercharger system on the Corvette Z06’s LT4 engine, the LT5 employs a larger, 2.65-liter supercharger that generates more boost while spinning at a slightly slower speed. That reduces heat to help maintain a lower air intake temperature for optimal performance. Four new radiators also help manage cooling in the ZR1, which features 13 radiators in all, including circuits for engine oil, transmission and differential cooling. A new, patent-pending exhaust system is the voice of the supercharged LT5 engine and offers the most aggressive sound ever for a production Corvette. 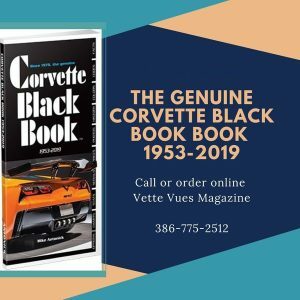 Building on the bi-modal exhaust system offered on other Corvette models, it features four distinct modes and sound levels: Stealth, Tour, Sport and Track. 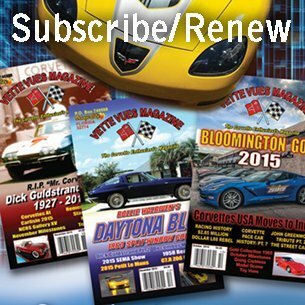 In Stealth mode, the ZR1 is quieter than the Corvette Z06, while in Track mode it is significantly louder. In Track mode, a spring-loaded passive valve closes to allow virtually unrestricted exhaust flow for maximum performance. 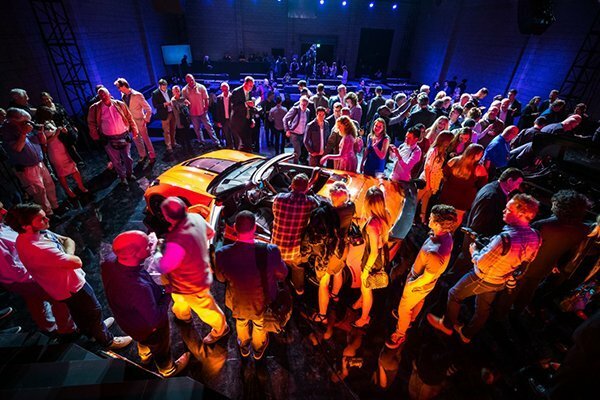 The exhaust note for all modes was carefully tuned to deliver a distinctive sound. 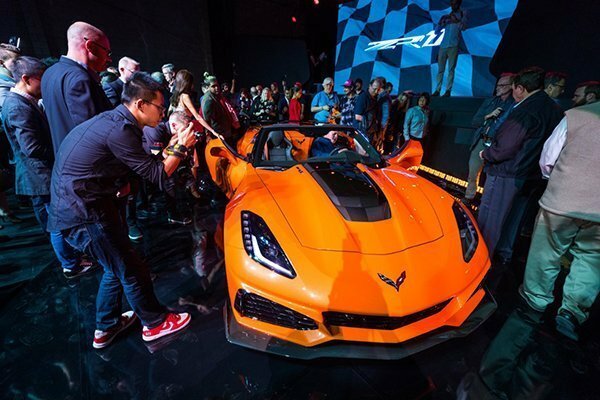 The 2019 Chevrolet Corvette ZR1 coupe and convertible will be on display to the public Dec. 1-10 at the Los Angeles Auto Show. 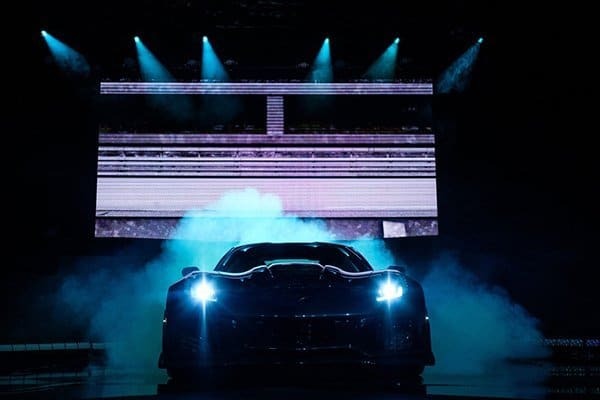 You can also read about the 2019 ZR1 Corvette first look in Dubai by clicking here. 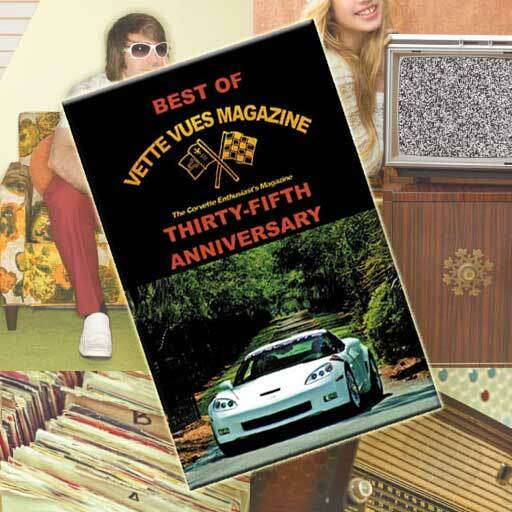 You will find photos as well as specifications. 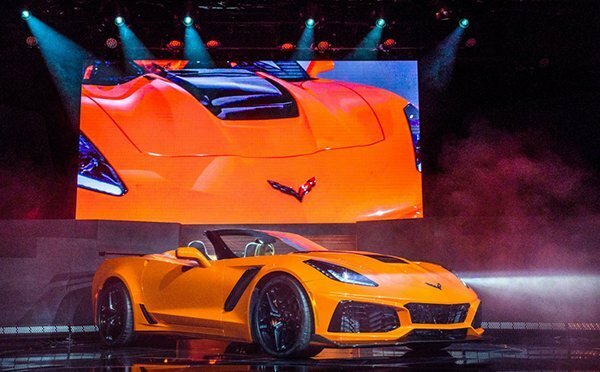 Tags: 2019 Chevrolet Corvette ZR1 Pictures, 2019 Chevrolet Corvette ZR1 Video, 2019 Corvette ZR1, 2019 CORVETTE ZR1 CONVERTIBLE LA DEBUT, Car Shows, L.A. Auto Show 2017, Los Angels Auto Show 2017, Tadge Juechter, ZR1, ZR1 Convertible	.